Mama Frankie is the mother of nine children including our first baby Frankie who is everyone’s little love at Neema Village. Frankie is a triplet and mom has now had twins! Mulitple births are very common here in Tanzania. 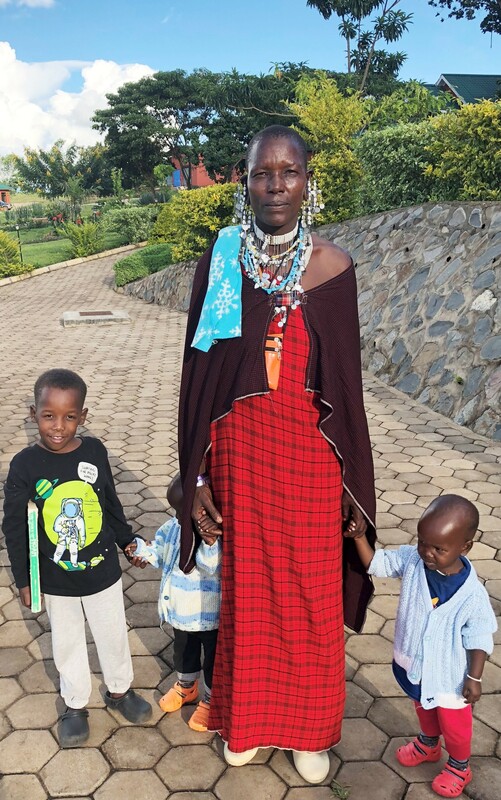 Mama Frankie is an educated Maasai and wants to have a better life for her family. She came to Neema when we presented a Bee Keeping Honey business seminar a few months ago in the Mothering Center taught by a local bee hive company. Who knew bees like acacia trees! Maasai Honey is very expensive in Arusha and is believed to have medicinal value. We set one bee hive up in a tree a good distance from the village and the next day they said the bees were in. We plan to buy 3 more hives eventually for her which should make a good business for her. This is our first honey business so we are anxious for this to work. The hive cost 160,000 shillings which is about $80. So her honey business will cost $320 USD. Thank you for giving this mom hope for a better life for her family.